EmcArts is pleased to share our newest article, which has just been published in the GIA Reader, Vol 28. No 3. After an era of intense specialization of the arts, our understanding of artistry has begun in the past two decades to expand again. Development of the field of “teaching artistry” has led to artists working experientially in educational, lifelong-learning settings and expanding into health care, corrections, and non-arts professional development. Community artistry has developed “social practice,” the work of artists engaging with communities in the cocreation of participatory art for social impact. “Civic practice” then puts the accent of community-based artistic work on the agendas of non-arts partners. 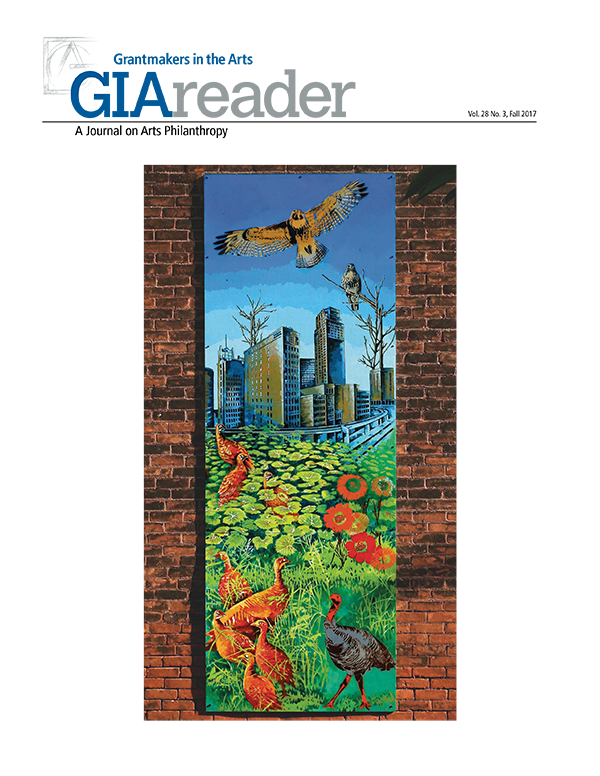 The silos separating the participatory work of artists in community, organizational, and educational settings are coming down, revealing a large, flexible, increasingly adept, and interconnecting field. Artistic practices have fanned out in these ways in part because the power of art to frame realities from different and unexpected angles has begun once again to be more widely understood. Attention is also increasing because this expanded definition of art is proving to be “useful” — a quality that grabs the interest of pragmatically minded America. What we call “art” has of course been applied to social change for millennia, if not beginning in Paleolithic caves then certainly in Greek amphitheaters and medieval pageant wagons. The power of art over the ages lives as much or more in its processes as in its products. The processes of art and the ways audiences make meaningful connections to its products are comprised of complex ways of knowing the world and making meaning that are inaccessible by other means. Artists make worlds, and (when all goes well) others enter those worlds and make new meaning, changing the way they understand the world they live in. This fundamental nature of the arts has served humanity over our long history. What makes the current situation different is the surge of interest in creative reimagining across all sectors of the economy, and widespread exploration of the contributions artists might make to achieving greater vitality, equity, and inclusiveness within the complex adaptive systems that our communities now consist of. What might it feel like to live in a community that was creatively imagined in all its interwoven parts? The Community Innovation Labs are funded with lead support from the Kresge Foundation and the MetLife Foundation.